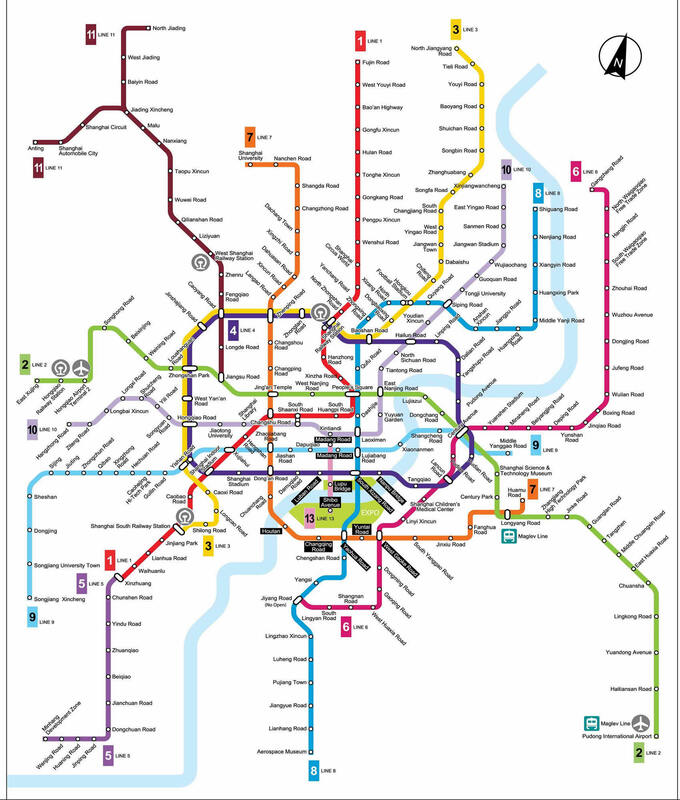 Like many other metro systems in the world, Shanghai Metro is using a distance-based fare system. As of September 15, 2005, after Shanghai Municipal Government raised the price, fares range from 3 yuan for journeys under 6 km, to 8 yuan for journeys over 46 km. As of December 25, 2005, Shanghai uses a "one-ticket network", which means that interchanging is possible between all interchange stations without the purchase of another ticket where available. In the event of riding beyond the value of your ticket, you may pay the difference at a Service Center near the main turnstiles. Since June 1, 2008, users of the Shanghai Public Transportation Card can interchange at Shanghai Railway Station, Yishan Road and Hongkou Stadium without paying another base fare. Copyright © 2005-2010 WWW.GRANDYOUYOUHOTEL.COM. All Rights Reserved.